A short call is a bearish to neutral options trading strategy that capitalizes on downward price movements in the underlying asset and the passage of time (theta decay). A long call is a bullish options trading strategy that strictly capitalizes on upward price movements in the underlying asset. Unlike long puts, when stocks rise in value, implied volatility (fear in the market) tends to decrease, so long calls do not significantly benefit volatility increases as much as long puts. That’s why buying call options after selloffs can be particularly costly. Did you know out of every online broker with 24/7 customer service in 2018, Ally Invest the has the lowest commissions for call options as well as the best free options trading software? See Ally Invest review. 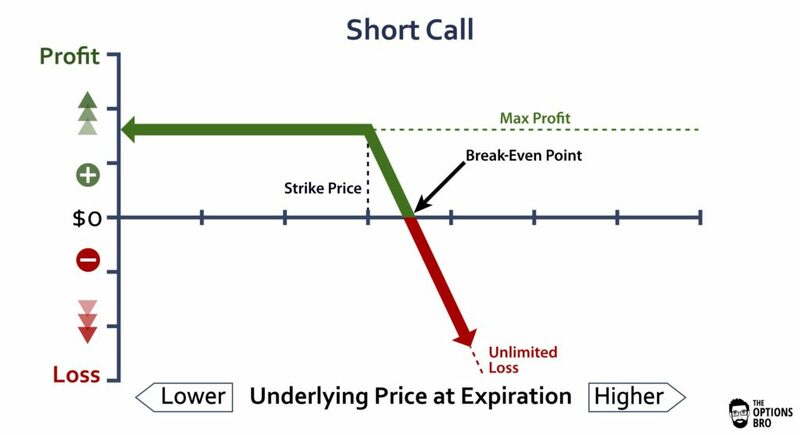 In options trading, what is the difference between a short call and a long call? At the core level, a short call is the exact opposite of a long call. A “buying to open” a long call gives a trader the right, but not the obligation, to purchase shares of a stock at a predetermined price on a predetermined date. On the other hand, “selling to open” a short call obligates a trader to sell shares of a stock at a predetermined price on a predetermined date, assuming the short call is in the money. For every trader that buys a call option, there was theoretically another who sold that same call option. Is the Profit/Loss the Same for a Short Call vs Long Call? Absolutely not. Long call option positions always have a defined risk and an undefined profit. The total risk for a long call is always equal to the initial premium spent. For example, if a stock ABC is trading at $50, and you buy one $54 strike price call option for $0.40, the total maximum loss for this position is $40.00 (1 option = 100 shares, $0.40 x 100 = $40). 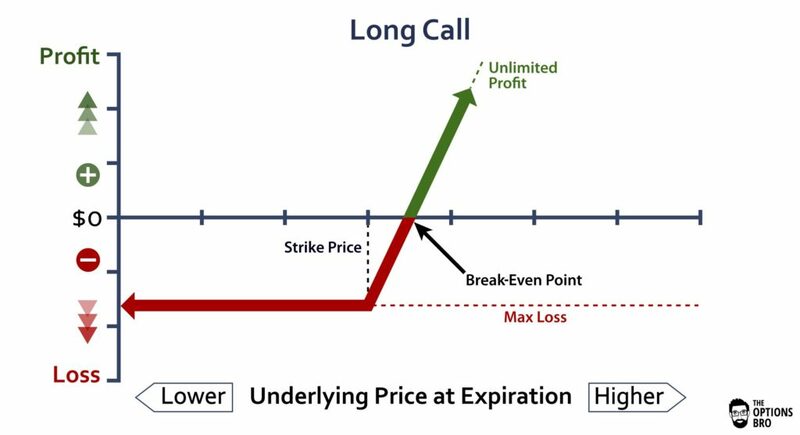 The maximum profit for long calls is unlimited, because stocks can theoretically go to infinity. However, because the maximum profit for a long call is unlimited, this means the maximum loss for a short call is unlimited, too. The possibility of significant loss is the number one danger when selling call options. The maximum profit for a short call is always equal to the premium received for placing the trade.